The new partnership makes TeamSnap the official team and sports organization management platform of WYS. This includes supporting more than 105,000 players, coaches and volunteers across 29 member associations and more than 250 recreational, select and regional clubs. As the industry leader, TeamSnap has become the must-have platform for more than 20 million coaches, administrators, parents and players. Its innovative sports management technology will be the official platform for all WYS clubs, delivering integrated solutions for communication, scheduling, payment collection, website creation and hosting. Additionally, affiliated teams will have access to TeamSnap’s number one sports management app for coaches, team managers, parents and players. TeamSnap will work closely with Washington Youth Soccer to support its mandate of bringing training, development and age-appropriate soccer opportunities to youth across the state including its acclaimed Elite Player Development (EPD) program. “Soccer has been a huge driver for TeamSnap’s growth, and Washington’s passionate and tech-savvy soccer community has been a leader in leveraging technology to help foster development on the field,” said TeamSnap co-founder and CEO Dave DuPont. WYS member associations and clubs can visit TeamSnap for more information. Washington Youth Soccer is a nonprofit organization bringing soccer opportunities at all levels of the game to kids ages 5-19 across the state. Our organization is comprised of 29 Member Associations and over 250 clubs that facilitate recreational, select and regional programs as well as TOPSoccer (soccer programming for players with disabilities). Additionally, we run four annual State Cup Tournaments, state level leagues, an Elite Player Development program, and several soccer outreach programs. More information: http://www.washingtonyouthsoccer.org/. Founded in 2009 and headquartered in Boulder, Colorado, TeamSnap has taken the organization of youth, recreational and competitive sports into the 21st century. 20 million coaches, administrators, players and parents use TeamSnap to sign up, schedule, communicate and coordinate everything for the team, the club and the season. TeamSnap makes organizing sports as simple as click, tap and go. 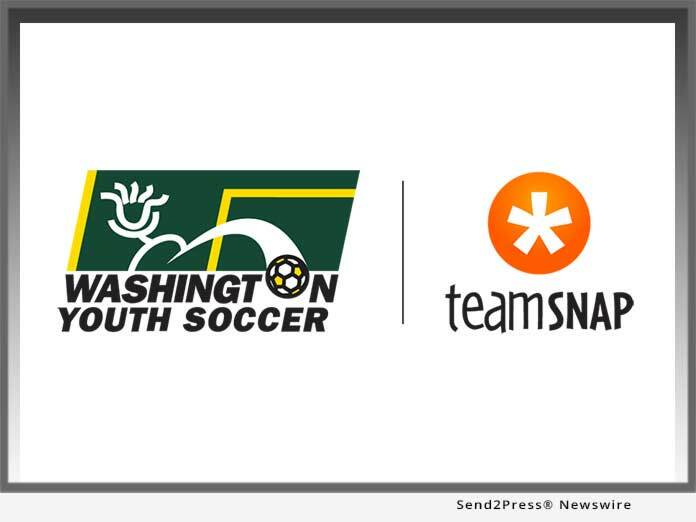 To view the original post, visit: https://www.send2press.com/wire/teamsnap-partners-with-washington-youth-soccer/.